A sad update on Damyanti’s mother-in-law. After being bitten by a venomous snake a couple of days ago, she has passed away. Please pray for Damyanti and her family as they go through yet another difficult time. I want to point out something supposedly obvious today. Unfortunately, it’s something that gets missed a lot by novel writers. You write the book you want to read. You write the characters in your head. The way you want them to be. Unless they decided to disabuse you of any notion of control and ran away with your story ages ago. It happens. Trust me. Writing for the market is stupid. Repeat after me. Writing for the market is stupid. Okay… sure. I hope you enjoy writing stories that you don’t care for because the one you love above all isn’t in the market. And let me just mention that the Reichenbach falls happened to Sherlock Holmes because his author grew to hate him. Why? Because no one wanted him to write anything else. Agatha Christie apparently killed off Poirot for the same reason. And imagine you do succeed (by some miracle) at writing a novel that you hate, but it makes money. And no one ever ever wants to read something else by you again. It’d be like being trapped in the seventh circle of hell. Just remember the waterfall has been done. Now you get what I’m saying? Feeling a little nauseous at the thought of a writing career based on something you hate? Good. Repeat after me. Writing for the market is stupid. I’ll draft only for myself. What I love. And then edit in line with market expectations. 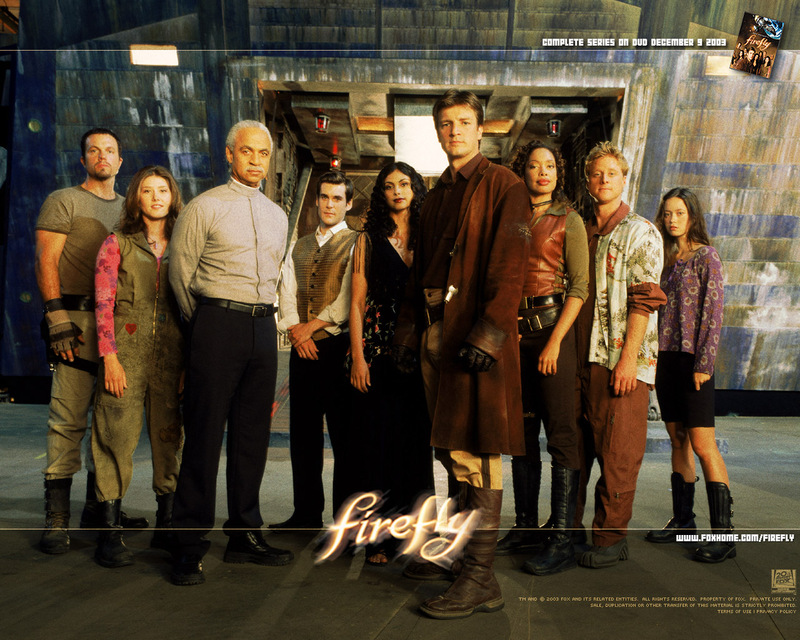 I was one of the few original watchers of Firefly when it aired on Fox ten years ago. The first episode they aired was Train Robbery. It caught my attention with a vengeance, and I was devastated when the series was cancelled. Unshiny. Very unshiny, Fox. Like Star Trek [the original], the mix of trying to survive on a new frontier with the awesomeness of exploring space, is a match most space opera fans can’t resist. At least, I can’t. I aimed to capture that same spirit when creating my universe. So, The Backworlds was born. Like Firefly, my characters are at the edge of the galactic frontier. There are thugs, thieves, mercenaries, and scam artists. The Fireflycharacters often swayed between what was morally right, what they needed to survive, and their own goals. My characters often battle similar dilemmas. They’re far from perfect, but they are redeemable. Just like the beloved crew of Serenity. Life isn’t shiny and perfect in Firefly. It’s raw survival and gritty, ripe with an atmosphere I did intend to capture. Maybe I didn’t, but I know the Backworlds aren’t shiny and perfect. I couldn’t copy Firefly exactly, because it’s just not my style. I like to be somewhat original and need to do my own thing. [That belief may be a delusion] So my humans have been genetically engineered to deal with less ideal environments on flawed worlds. 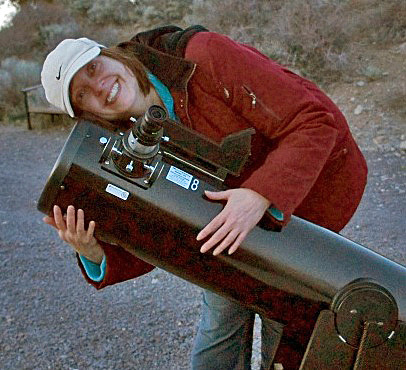 I figure it’d be easier to change ourselves to suit less ideal planets than to change entire worlds to fit our needs. And sooner or later, if we intend to survive, we must figure out how to leave Earth and establish humanities on new homes. You can try the first in the series, The Backworlds, for free. It’s available for all ereaders. LINKS. It’s also available in paperback for not free from Amazon. 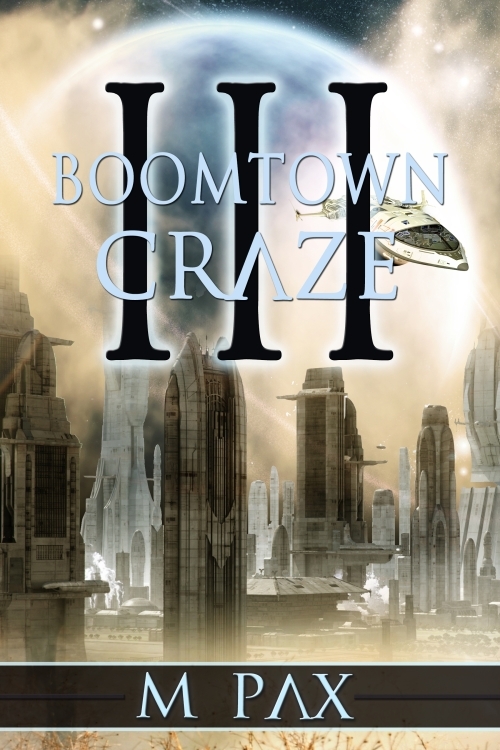 Boomtown Craze is the latest release and the 3rd book in the series. One thing that’s probably on the shelf of many writers is at least one “How to” book with respect to writing. Filled with sagely advice on everything from pacing and pitfalls to publishers and point of view, most contain at least a nugget of valuable information. Some writers swear by them. Others, well, swear at them. I’m in the middle ground on this. I’ve read a few and they’ve given me a few pointers and ideas, but I firmly believe that there isn’t one out there that contains the ‘secret formula’ for writing a bestselling novel. A good “How to” can prod a writer along and point to possible solutions when a wall has been hit. If one is interested, the two I’ve found most useful are: How to Write Science Fiction & Fantasy by Orson Scott Card and On Writing by Stephen King. Card’s book provided me pointers and some basic do’s and don’ts. King’s book provided some straight-forward advice on writing and what it takes to succeed—or have a chance to succeed. But really, I consider the best “How to” books for writers simply to be what we’ve all read since childhood: published novels. They’re what taught me how to tell stories, how to write a story, and helped me to improve my writing skills—how to write better. It’s generally accepted that writers should also be readers, if for no other reason that it helps the writer keep abreast of what’s out there in his genre. Reading, I think, also affects a writer’s subconscious. By reading, a writer internalizes things like story structure and pacing. A close analogy would be a person learning how to tell jokes. It takes more than just uttering a series of memorized words. Proper inflection, subtle gestures, appropriate pausing, and on-the-mark timing are required. If a writer is struggling with characterization, or how to write a battle scene from a particular point of view, I recommend he goes back to his favorite authors, his favorite books and read them. But read them with a purpose. Study how the author accomplished the task. Take notes. Compare it to other books by other authors. Taking what’s learned, the writer should apply lesson to his project while incorporating (or modifying it to) his own writing style. The process takes far longer than reading a chapter or section in a standard “How to” book, but what’s learned will be more than superficial knowledge. Beyond that, the writer will be applying to his work, proven methods/techniques that resulted in a published author’s work not only finding a publisher, but a reading audience—including the writer in question. Most recently I employed this process to write Blood Sword, my second novel in the First Civilization’s Legacy series. While Blood Sword is the sequel to Flank Hawk, my goal was to write it in such a way that even as it complimented the first novel, it could also stand alone. With established characters returning, and actions and events from the first novel impacting the plot of the second, it wasn’t going to be a simple task. What I did was select several authors whose works were written in first person POV as part of an ongoing series. In addition, the novels in the series, while related or through recurring characters and impacted by events that happened earlier in the series, were to varying degrees standalone novels. I read and reread, and also listened to audio versions when possible, the first five books in Roger Zelazny’s Chronicles of Amber series, The early novels in Laurell K. Hamilton’s Anita Blake series, and scattered novels in Steven Brust’s Vlat Taltos series. I paid close attention to when and how the authors made references to situations and events that took place in previous novels. Even trickier lessons gleaned included how the authors referenced important events that occurred between or were shared by characters, while continuing/growing the character relationships previously established. In the course of my study I learned more than a few things about employing character thoughts, observations, and dialogue. When and where to do it, and when to be direct and overt, and when to be indirect and subtle. When to recount and when to let the readers, both new and veterans of the series (if readers of the first novel can be called ‘veterans’ with respect to reading my published works) fill in the blanks. I think I got right. And while I could tell you how I did it while writing Blood Sword, that material would be better placed within the pages of a ‘How to’ book. Since I won’t be doing that anytime soon, if it’s a concern you’re struggling with, do what I did—find appropriate authors you enjoy reading (since you’re going to be spending a lot of time delving into the contents of their novels) and study how they did it. 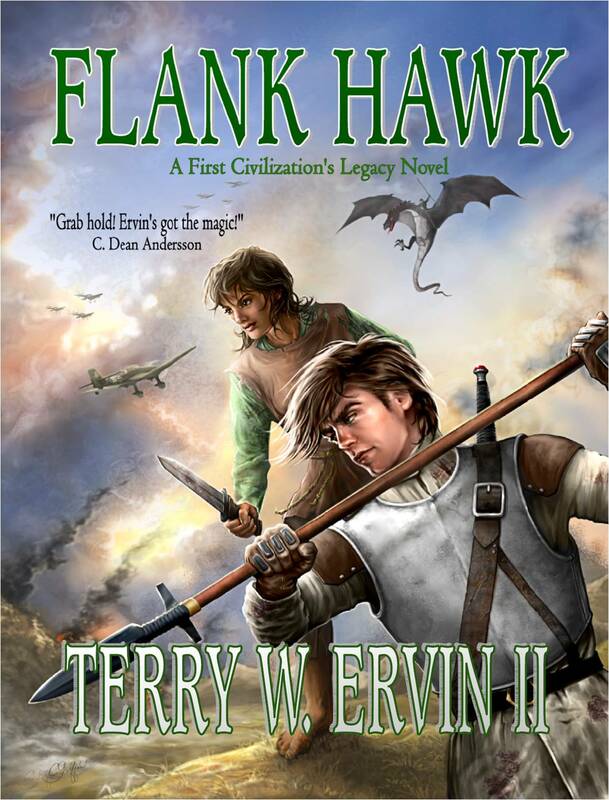 Or, posing a more self-serving suggestion, consider reading Flank Hawk and/or Blood Sword. Not only for learning purposes, but also for enjoyment! Terry W. Ervin II is an English teacher who enjoys writing Science Fiction and Fantasy. He is an editor for the speculative fiction magazine MindFlights and a guest contributor to Fiction Factor, an ezine for writers. 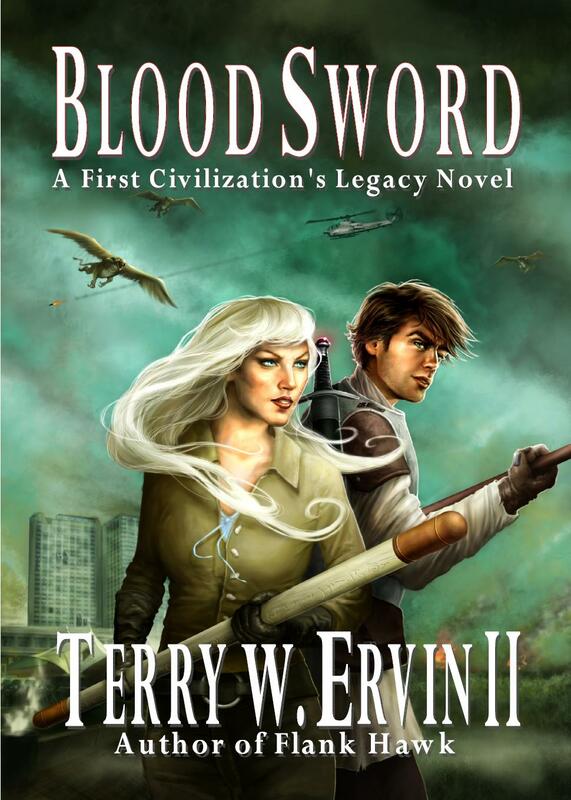 Gryphonwood Press published Terry’s debut fantasy novel FLANK HAWK and the next novel in the First Civilization’s Legacy series, BLOOD SWORD, is now available. To contact Terry or learn more about his writing endeavors, visit his website or his blog Up Around the Corner. How do you learn how to write? Hi all! Welcome to another GPF. Today I welcome Theresa Milstein from Substitute Teacher’s Saga. Two weeks ago, I wrote a post “Reverence for Rowling” that discusses why the Harry Potter series made me become a writer. Certain influences came together to start my story. 1. The whimsy of Harry’s magical world in comparison with the darker fantasy books of my childhood, made fantasy much more appealing. 2. I’d seen the author Melissa Glenn Haber speak. She mentioned that many fantasy protagonists are orphans or somehow the parents are absent. I thought it would be nice to have a fantasy book that dealt with the relationships between children and their parents in the realm of a fantasy book. 3. I used the quirks of the place where I grew up as a setting. Thus, my first manuscript was born. I’ll admit the story borrows a little too heavily from the Harry Potter world. But it got me writing. Each of the stories we write are inspired by several factors. They can be books, songs, overheard fragments of conversation, a NEWS story, or something from our personal lives. My most recent short story, “My Moment”, which will be included in the Tiny Dancer anthology in October, had a number of inspirations. It’s boggling that so many influences could’ve come together in a short story. 1. I had just watched an episode of “Toddlers and Tiaras”. One mother admonished her daughter for dancing like a stripper. That horrifying line stuck in my brain. 2. Then I got the opportunity to write a speculative fiction piece. I read the back of the book, Like Mandarin, by Kirsten Hubbard, which mentions child pageants. 3. I recalled XVI by Julia Karr, where she created a society based on the sexual availability of girls ages 16 and over. What if I wrote a story 200 years in the future where beauty pageants were a way for poor girls who couldn’t afford college to find well-off husbands? A story was born. Writers, will you share you story influences? Thanks so much for stopping by, Theresa! If anyone still wants to guest post before the end of the year, you better move quickly. I only have two more Fridays left. Contact me at mishagericke(AT)gmail(DOT)com if you’re interested.